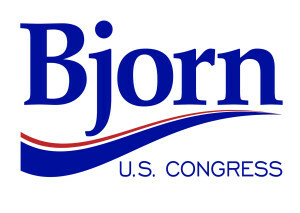 Bjorn described his campaign vision: “We are Government. When ‘We the People’ do our job—to link and protect individuals, communities, and industry—Government is a powerful, positive force. Bjorn is a community leader, advocate, and ally. He is the author of several books and a frequent contributor to major publications, including the religion website Patheos. He also co-founded a Columbia annual arts festival. Bjorn earned a graduate degree from University of South Carolina and a bachelor’s degree from Wheaton College, alma mater of Billy Graham. He lives in Columbia with his second-grade daughter, Kat, who loves all things horses and Harry Potter. They attend St. Martin de Porres Catholic Church in Columbia. Bjorn’s campaign manager is Lawrence Moore, a veteran political director who has served key roles in numerous Democratic presidential and major office campaigns. Moore is currently Co-Chair of the Labor/Progressive Caucus of the South Carolina Democratic Party. To interview Arik Bjorn, contact him at 803.765.9851 or info@bjorn2run.com.